Puff Daddy? 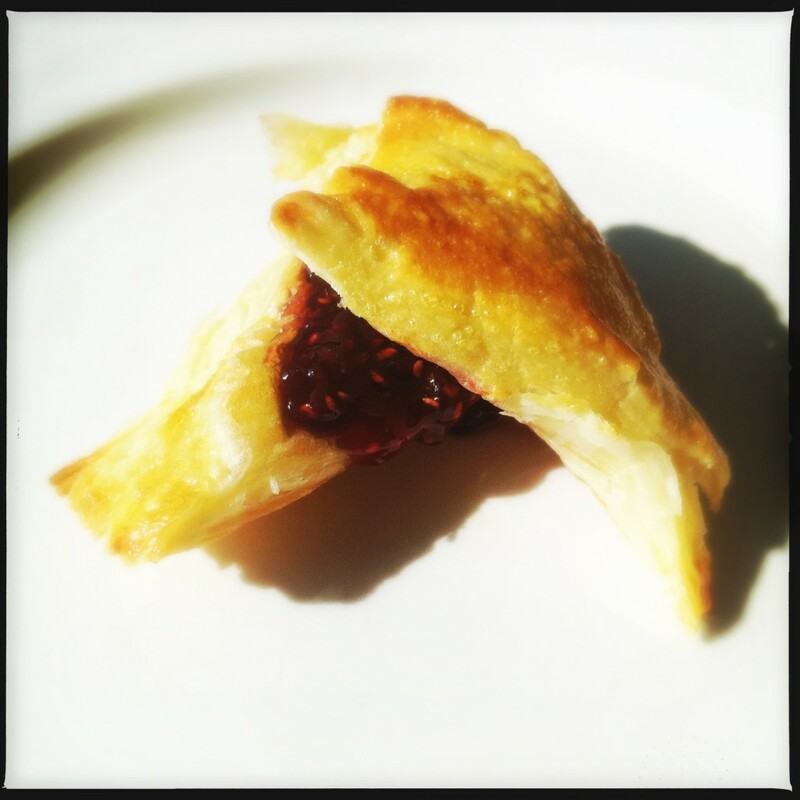 No – Puff Pastry! I recalled seeing it done on TV once, on a show called “Simply baking” no less. How hard could it be if it was on a show with that name right? So I committed myself to it. 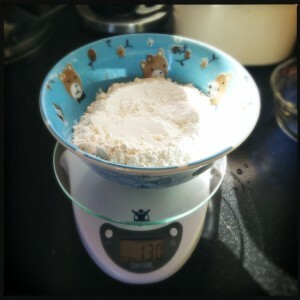 Everyone measures their flour out in teddy bear cereal bowls, right?! 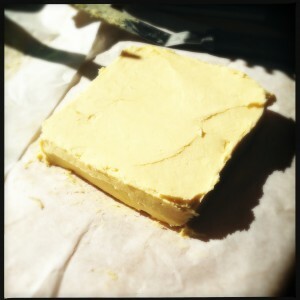 The first step, and probably the most important, was getting good butter. Puff pastry is practically all butter, so it HAS to be the good stuff. I couldn’t find any of the European variety, but got some organic pasture fed stuff from Sprouts that was a nice, dark yellow color, indicating a higher fat content. It was a butter’s butter and delish! 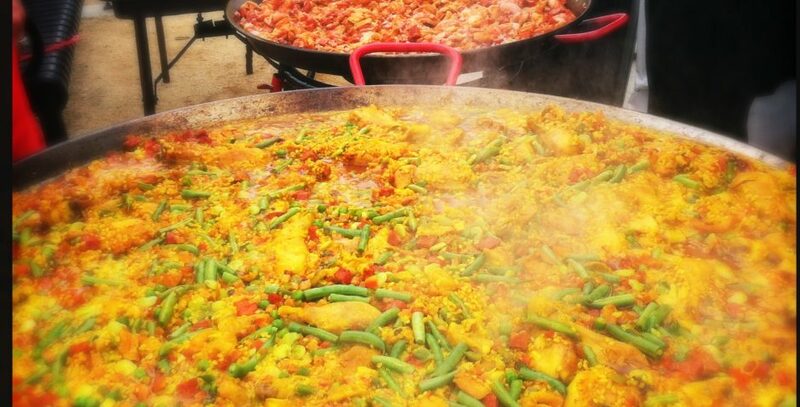 The second most important step is finding a recipe that gives amounts in weight, leaving guess work out of it. Having a scale that my awesome sister gave me for a birthday present helps as well, even though it is a “Biggest Looser” scale. I wasn’t going to read into it at all because it’s a really nice compact digital scale…right?? 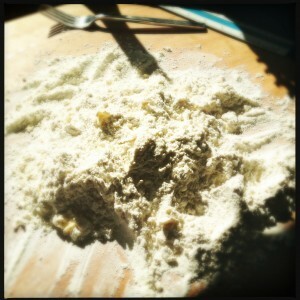 Work that butter and flour! The next main ingredient is time. This recipe isn’t hard but just has lots of steps with time in between them. If you have laundry to do the same day, it works out perfectly. A cool day doesn’t hurt either so you butter and dough remain at the right temperature. 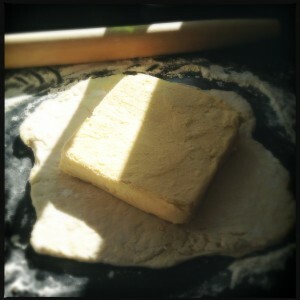 I got the butter block together in a nice square and let that chill and then got to work on making the dough. I haven’t quite mastered incorporating it all on the on the counter top like pasta thing yet, but practice makes perfect I guess. (I’ve done this recipe once more since this first attempt.) I think I got lucky both times and got the butter and the dough at the right consistencies to roll them out together after wrapping the block up in the dough. If the butter is too hard it won’t roll, too soft and it squishes out. 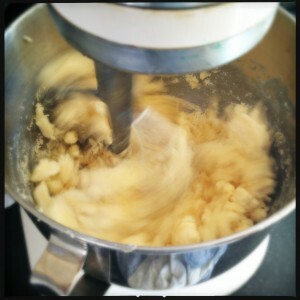 Working the butter into the dough. apart and served it with some strawberry jam. I’m sure store bought puff pastry would’ve been just fine, but ohhhhh does it taste SO much better and sweeter when it’s made from scratch. 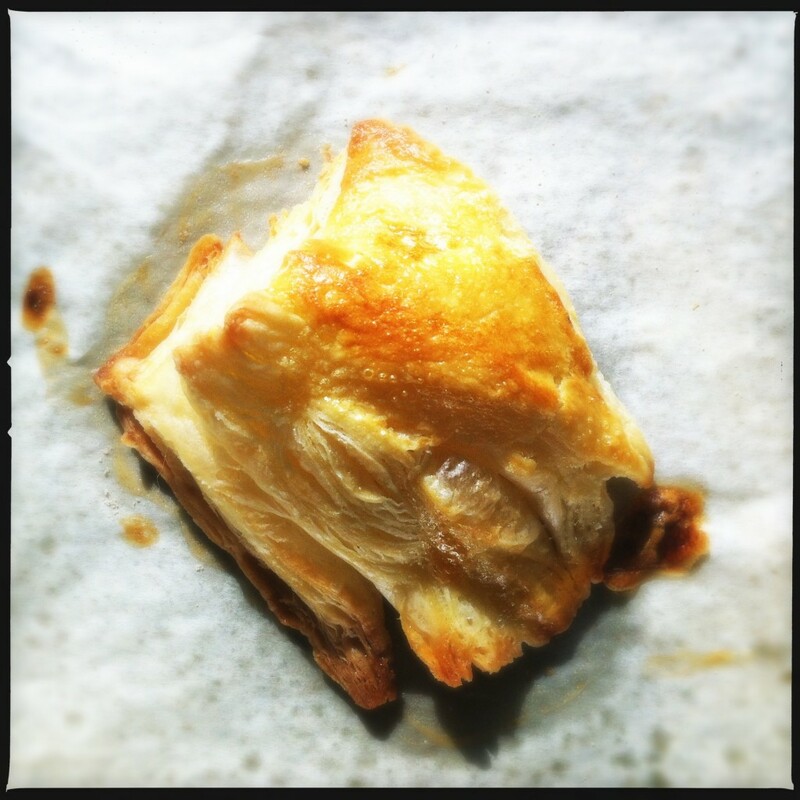 Puff away puff pastry of mine…puff away!! Dough ball ready to chill. The cross enables easier pulling apart. 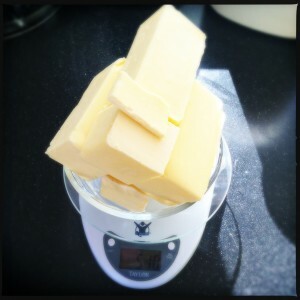 Getting ready to wrap the butter up in dough. Ahh…lovely butter wrapped in doughy goodness. Roll, fold, rest, and repeat! Add the butter, then fold the corners of the cross back to the center, covering the butter so it is completely enclosed. The corners should overlap in the center so no butter is showing. 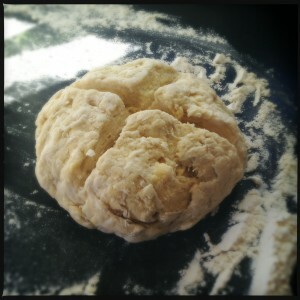 It is important that the butter is not too hard or too soft, otherwise it will escape through the dough when you roll it out and the resulting pastry will not rise as well. If it’s too hard, let the ball of pastry stand at room temperature until the butter inside has softened; if it is getting too soft, pop it in the refrigerator for 20 minutes to firm up a little before rolling. This next process is called “rolling and folding” (or “turns”) and it creates the characteristic flaky layers of puff pastry. Begin by rolling the pastry out away from you on a well-floured counter to a rectangle roughly 3 times as long as it is wide (don’t turn the pastry when rolling). Keep the corners square and edges straight by pressing a spatula or rule against them. Lift the dough occasionally to make sure it isn’t sticking; flour the counter again if necessary and sprinkle with more flour as you go, dusting away any excess with a pastry brush. Take the short edge of the pastry nearest to you and fold it up a third, then fold the top edge down a third to give a rectangular block. 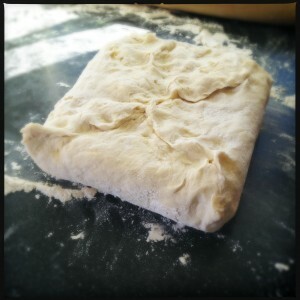 Turn the dough 90 degree and then repeat the rolling and folding. You have now given the dough two “rolls and folds.” Wrap the dough in plastic wrap and put in the refrigerator. Chill for 20 minutes. Remove the dough from the refrigerator, then unwrap and give it two more “rolls and folds.” Wrap and rest in the refrigerator for at least another 20 minutes. 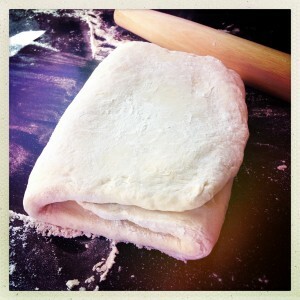 The block of puff pastry can at this point be kept in the refrigerator for a day or two, or frozen.